Renewable Energy Sources (RESs) are playing an important role in reducing carbon emissions of conventional fossil fuel, greenhouse gases and other pollutants. Moreover, they have a potential benefit of reducing energy cost and providing power to meet the energy demand. Nevertheless, grid stability is criticized via intermittent and non-controllable behavior of RESs. 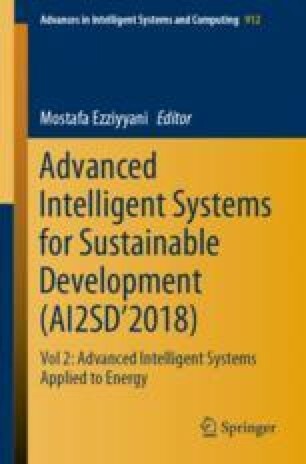 In this regards, coupling power generation units such as solar and wind with Energy Storage Systems (ESSs) is the most likely solution to pave the way for the outstanding transition from conventional power system to smart grid infrastructure. Nonetheless, this infrastructure requires models and controls for the implementation of next-generation grid architecture. Therefore, a virtualization of the above infrastructure could be overriding and cost-effective for implementation phase. In that regard, the present research proposes a hybrid micro-grid model including wind and solar energy, loads, a double auction market and ESSs. The proposed model is tested and validated using virtualization of the above proposed grid structure. The implementation of the virtualized system enhances the role of ESSs leading the power system to be stable. ESSs allow accumulating the surplus energy for later use in those periods in which wind and solar contribute to overproduction. Furthermore, it enables delivering back the extra energy in peak periods. Simulation results show the effectiveness of the proposed model and highlight the role of ESSs in stabilization. As a result, the proposed model can be used to test other scenarios such as implementation of controls and smart appliances of the new and improved power system augmented with RESs. We acknowledge Flanders Make for the support to our team.